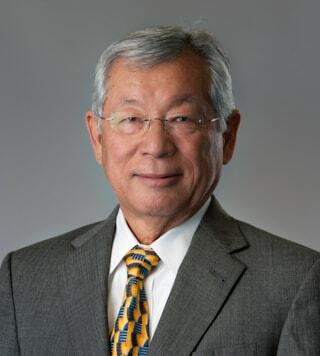 Having led multiple hospitals throughout Los Angeles County, James Yoshioka offers an enormous amount of hospital operations experience. He is retired from Citrus Valley Health Partners, where he led a three-hospital system in the San Gabriel Valley of Southern California with affiliated services such as hospice and home health. Citrus Valley Health Partners includes InterCommunity Hospital, Queen of the Valley Hospital, and Foothill Presbyterian Hospital. Prior to this, he served as the chief executive officer of Henry Mayo Medical Center in Newhall, California Medical Center in downtown Los Angeles, and Children's Hospital of Los Angeles. Before becoming a hospital CEO, James worked as a chief financial officer at three Los Angeles-area hospitals. He also served as the president of the Hospital Division for UniHealth and oversaw eight of its hospitals. James has an exceptional record of achievement and extensive experience in finance, operations, and leadership of hospitals. His experience includes both independent, free-standing institutions and multi-hospital systems, as well as community nursing facilities. James has served on the boards of the Foothill Foundation, the California Hospital Association, and the Hospital Association of Southern California. He also served on the advisory committee for the Martin Luther King, Jr. Community Hospital.